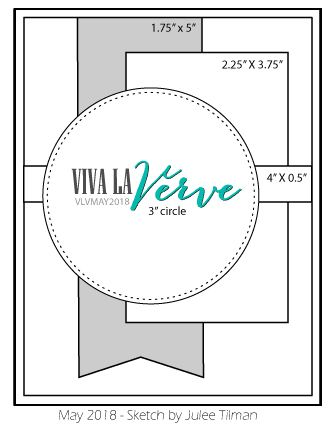 Welcome to our September Viva la Verve Sketch challenge! Are you ready to get sketchy again? We've got a month long challenge and we'd love for you to play along with us and link your challenge creations to our Entry Form link list for a chance to win! The link list will be up for the whole month and we'll choose a winner on October 5 to win a $40 gift voucher to Verve. My sample card uses the new Scripture Medley 5 stamp set. I picked out some dreamy papers for my panels, then aged them with distress inks. The verse is embossed and I popped up the flower from the set to add to the dreamy look. I finished off with a bit of lace trim. 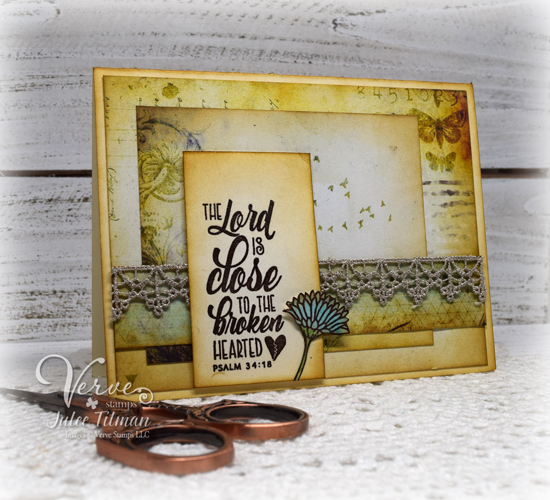 Card by Julee Tilman featuring the Scripture Medley 5 stamp set. And here's a beautiful back to school themed sample from Maureen. I kind of wish I was a teacher, just so I could receive a card like this!